Eddie Jones has warned in-form England they must be prepared to face the best Wales side in history in Cardiff later this month. England moved back top of the Six Nations table with a 44-8 annihilation of France at Twickenham, wing Jonny May scoring half of its six tries in the first half. That impressive performance followed a win over reigning champion Ireland in Dublin in England's opening game of the tournament, but Jones is mindful that another stern test awaits in the Welsh capital on 23 February. A much-changed Wales outfit equalled the longest winning run in its Test history with an 11th straight success over Italy in Rome and Jones acknowledged England must not let its standards slip. "There's a lot more in this team and we understand that and we're committed to being the very best we can be," Jones said. "When we get back together on Wednesday we'll start the process of how we can get better again. "We're playing the greatest Welsh side ever; we're going to have to be at our absolute best. "You know you're playing against a Warren Gatland side. He's been at the top of the tree in European rugby for the last 15 years, through his club and country and the [British and Irish] Lions. "You're playing against a tough, physical team. They contest hard at the breakdown. You've got to earn every point against them. We're looking forward to going down there. Should be fun." May's hat-trick came inside the opening 30 minutes as England constantly exposed space behind France's back-line with a kick-chase tactic. 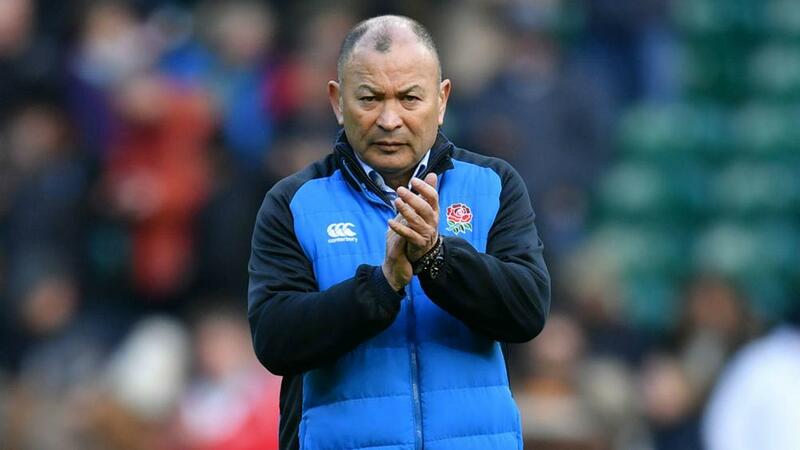 "Jonny May's like when you go to the park and you see someone with a tennis ball and they throw it, the dog runs 100mph and chases it and brings it back - he does that pretty well," Jones said. Two further scores - via a penalty try and Owen Farrell - followed early in the second period but neither team registered a point after the 56th minute. "The second half I thought our performance was even better," Jones added. "Even though we didn't score as many points, our focus and our discipline to keep France scoreless was outstanding."